The military exchanges have been ramping up their stock and shoring up their websites’ capability as they prepare to launch the Veterans Online Shopping Benefit on Nov. 11, potentially opening up their online, tax-free stores to millions of new customers. “We’re trying to cram thousands of products online as quickly as possible,” said Capt. Bruce Brown, head of Coast Guard Community Services Command, which includes the Coast Guard Exchange System. Brown made the remarks Oct. 24 during the annual convention of the American Logistics Association. More than 235,000 veterans had been verified to begin shopping at the online military exchange websites as of Oct. 30, but it’s estimated that 18 million new shoppers are eligible for the benefit, which was approved by the Defense Department in January. It’s available to all honorably discharged veterans of U.S. armed forces; veterans should visit www.vetverify.org before trying to shop, to verify their eligibility. It applies only to online exchange shopping, not to shopping in brick-and-mortar stores, and it doesn’t extend to veterans’ dependents. The websites are: www.shopmyexchange.com; www.mynavyexchange.com; and www.shopcgx.com. Any eligible shopper can shop at any of the websites. Actual exchange prices aren’t visible until you log in as an authorized shopper, and you don’t have to add sales tax. 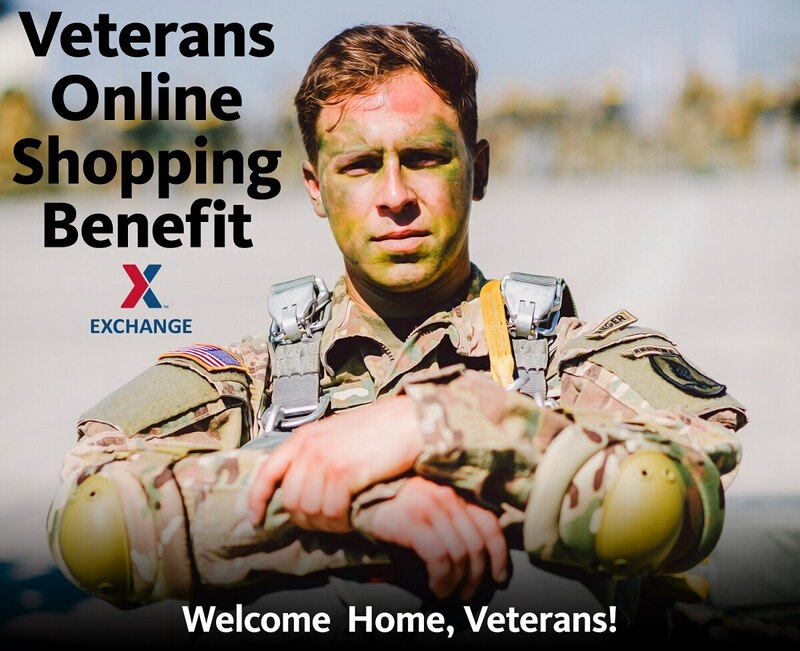 Officials estimate that no more than 20 percent of eligible veterans will shop at the online exchanges once the program is in full swing, said Tom Shull, chief executive officer of the Army and Air Force Exchange Service. But even that level of participation could mean a half-billion dollars in annual business, Shull told the ALA convention. Previously, all exchange shopping privileges (including online shopping) were available only to active-duty, reserve and Guard members, retirees, 100 percent disabled veterans and their dependent family members, and certain others. About 197,000 veterans who have been verified to shop are now testing the sites as “beta shoppers.” Some have been doing so for about six months. While some have been quickly verified through the system, which links to information from the Defense Manpower Data Center, others have had to take further steps, such as uploading their DD 214. About 30 percent of those who have registered on VetVerify.org are Navy veterans, said Courtney Carrow, spokeswoman for Navy Exchange Service Command. Age ranges vary widely among the beta testing veterans at www.mynavyexchange.com, she said. The most popular items among Navy veterans are the “Navy Pride” items ― caps and T-shirts featuring ships they served on, said Rob Bianchi, a retired rear admiral who is CEO of the Navy Exchange Service Command. A close second is electronics, followed by men’s apparel. Beta-testing veterans have bought about $500,000 worth of items at the Navy exchange site, he said. They’ve bought $4.4 million worth of items on AAFES’ ShopMyExchange site, said Ana Middleton, president and chief merchandising officer of AAFES, at the convention. Data scientists at AAFES project about 658,000 visitors could hit ShopMyExchange.com in a day, AAFES spokesman Judd Anstey said. That’s double the 329,172 visitors from the day after Thanksgiving last year; the site racked up 5.8 million pageviews on Black Friday. The system can accommodate 4.4 million daily visitors, Anstey said, and can handle 30,000 people trying to shop at the same time. That’s well beyond last year’s peak of 5,700. Exchange officials know they’re competing with other online retailers, such as Amazon. One area of focus has been delivery time, Middleton said, claiming AAFES deliveries average 2.8 days against an industry average of 3.4. AAFES has also started setting up some stores with capability to ship items ordered online. Currently 53 stores are shipping e-Commerce items; 63 will be doing so by the end of the year, including one in the Pacific and one in Europe. Shipping from Europe means that products can get to Afghanistan and Iraq within seven to 10 days, she said. Shull, the AAFES CEO, formally proposed the idea of expanding the benefit to honorably discharged veterans to defense officials in May 2014, noting that it would provide a modest benefit to those who had served but left the military short of retirement. It would also help the military community by generating more profits that would be contributed to morale, welfare and recreation programs.